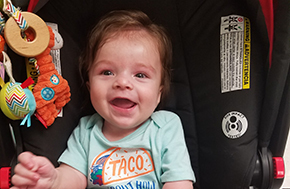 When he was just two months old, Brayden was fighting for his life -- and a whole team of caregivers at Texas Children’s was fighting right along with him. Doctor's discovered a tumor that covered Arya's face while she was still in her mother's womb. 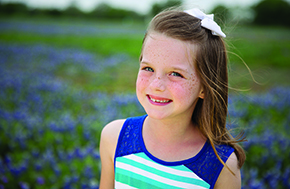 Learn how Texas Children's performed the surgery that saved her life. 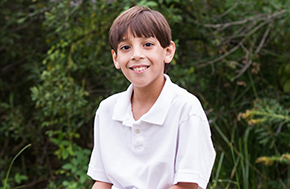 Rafe Hibben was born with hypotonic cerebral palsy, cortical visual impairment and a global developmental delay. Not only were his body muscles weak, but his brain and eyes were not communicating with each other. 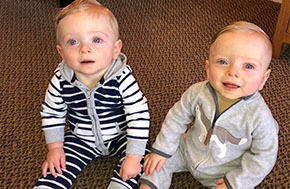 When Kristi went to her doctor in Louisiana for a follow-up sonogram during her pregnancy, she never imagined that the very next day she’d be in Houston at Texas Children’s Hospital fighting to save her twin boys’ lives. 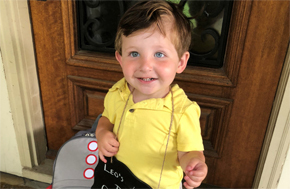 By the time he was just three months old, Tate Tucker had suffered from a long list of infections, including fungal pneumonia. His local doctors and parents were baffled at first. What was making this baby boy so sick? 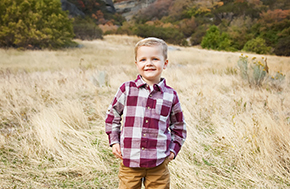 Six-year-old Deconc Bradley keeps smiling through Jarcho-Levin Syndrome, a rare genetic condition that comes with a grim diagnosis. 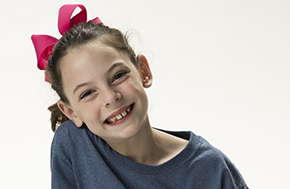 After receiving care at Texas Children’s, it wasn’t long before Laurel Batchelder started back to school and became involved in her normal extracurricular activities. 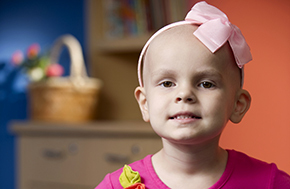 Texas Children’s outsmarted a “tricky” blood disorder to save Brooke’s life. 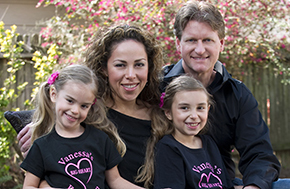 After losing their daughter, Vanessa, to a heart defect, this family started a foundation to help cardiac patients at Texas Children’s. 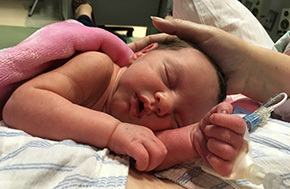 Aspen Alfred was born weighing only 3 pounds 12 ounces and had four holes in her heart, along with many other complications. 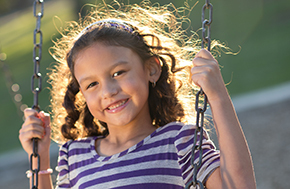 Learn how Texas Children’s provided the right care at the right time. 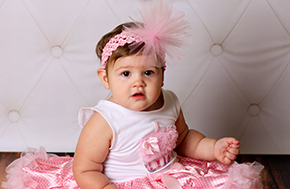 The first few months of Audrey Patrick’s life were spent in the NICU. Today, she is growing and thriving. 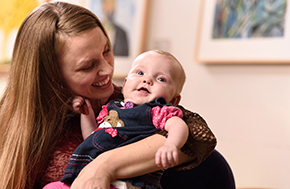 In a very short period of time, Hannah went from being a healthy toddler to being unable to walk. Read about her journey back to good health. 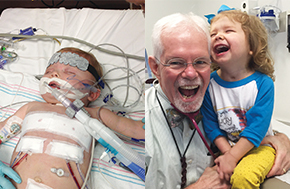 Aiden Rodgers—a young hero with half a heart—beats the odds, with help from Texas Children’s Hospital. Texas Children’s got Madeline back in the saddle again after she was seriously injured by a horse. 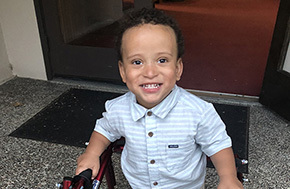 Eric Juergen was 2 years old when his sitter noticed one day that he wasn’t in the mood to eat or play—he just wasn’t acting like himself. 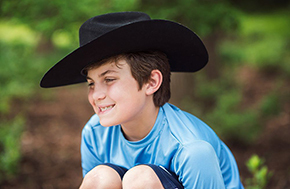 A visit to the pediatrician’s office ultimately led the family to Texas Children’s Hospital. 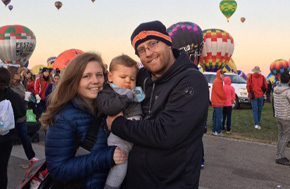 Brandi and Kevin Cox never imagined it would happen to their child—but a cancer diagnosis was unfortunately in the cards for this family. 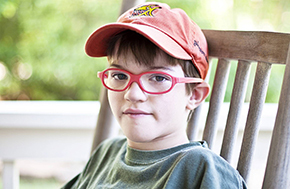 You can’t ignore Ryan’s warm smile, big personality and cool orange glasses—even in the face of mitochondrial disease. 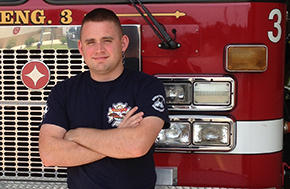 A serious scare resulted in an emergency transport and 10 days at Texas Children’s Hospital. 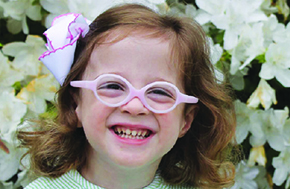 Caroline Cooper was born weighing 1 pound, 14 ounces. 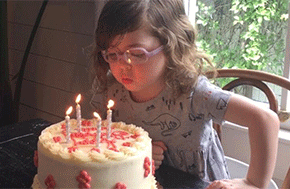 Today, Caroline is a spunky 8 year old—thanks to Texas Children’s. Riley has battled a variety of ailments including cerebral palsy, epilepsy and a brain malformation. Today, she is a happy child. While her health may always be fragile, her family is grateful that her diagnosis remains stable. 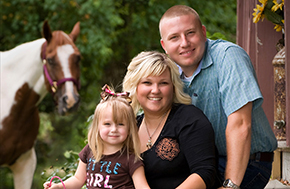 While in the womb, Lynlee, had a large tumor in her tailbone. Without surgery, doctors feared she wouldn’t survive. 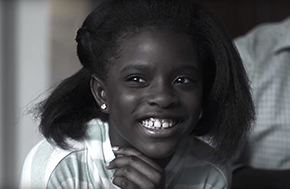 Texas Children’s gave her family hope. 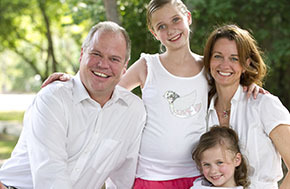 Jana and her husband were so excited when they learned she was pregnant with twins. One of the twins, Whit, was so vibrant and wiggly at Jana’s 24-week ultrasound that it was hard to grasp what they were told by a high-risk obstetrician afterwards. Amy and Joe Krese wanted their two-year-old son to be a big brother. After three miscarriages, their dream was finally coming true. Amy was pregnant with a baby girl, Lydia. 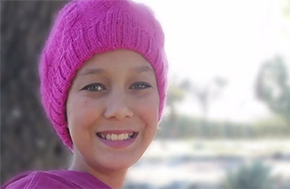 A battle with cancer already behind her, 8-year-old Avaya truly realizes how blessed she is to be enjoying such an active and healthy life. Herndon began to hold his books close to his face. He then struggled to know what color things were. These were the signs that warned of something serious. A grave diagnosis during the holiday season brings joy in a different way. 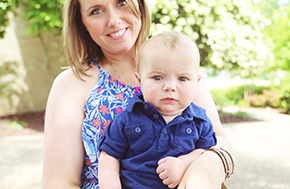 At 32 weeks into her pregnancy, pediatric nurse Christie Husband learned that her unborn baby had only one kidney. 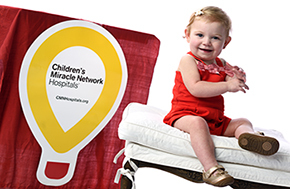 Texas Children’s stepped in to provide just the right care. 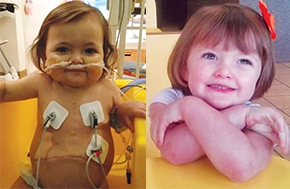 Ella was born needing surgery for the intestines growing outside her body. 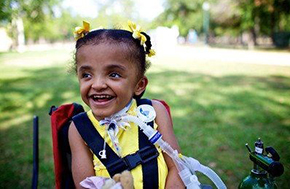 Now 7, she’s become an example for other babies with the same condition. 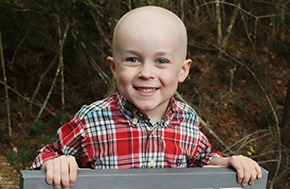 Born with a life-threatening condition, Stockton’s life was in jeopardy. 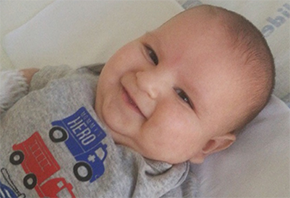 At four days old, he underwent his first open heart surgery. 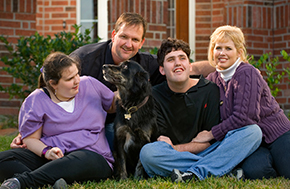 Read Stockton’s story. 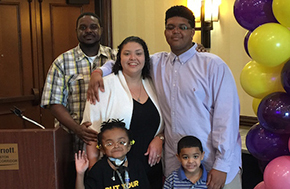 Tracey and Xavius Parker encountered quality, family-centered care during their child’s life-threatening illness. 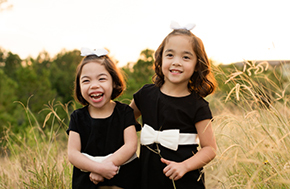 This family turned to Texas Children’s for help in their battle against batten disease. 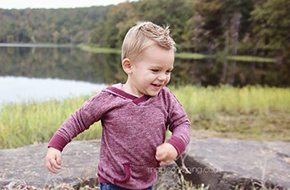 Learn how Eli went from being in grave danger while still in his mother's womb to the happy 1-year-old he is today. When Noah and Sammy were released from the hospital, they still had a lot of work ahead of them, especially when it came to different kinds of therapy. When Rachel and Levi found out that Rachel was pregnant with their first child, a son, they chose the name Leo, after Levi’s grandfather. The Hebrew name, Lev, means heart. Little did they know what the word “heart” would come to mean to them. 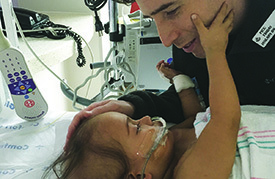 A brave father starts a support group for fathers with children in the NICU. 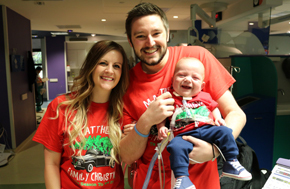 Asher Matthews received a breakthrough surgery before he was even born. 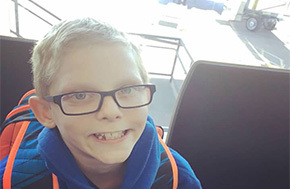 Asher’s diaphragm had a hole in it, and most of his abdominal organs had entered his chest, making it difficult for his lungs to grow and develop properly. 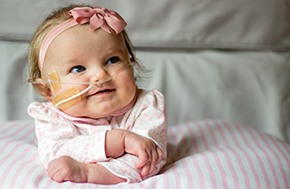 At 20 weeks gestation, Leigh Ann Cribbs’ parents received news that no parent ever wants to hear: their daughter had hypoplastic left heart syndrome. 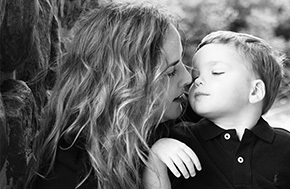 Keller's mother knew something was wrong, and by the time they arrived at St. Luke’s, Keller's lips had turned blue. As told by Kristina, Keller's mother. 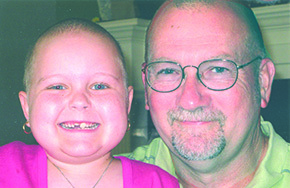 Victoria was 18 months old when she began her battle against cancer. She was victorious in that battle because she received the very best care -- and because of the support of friends like you. 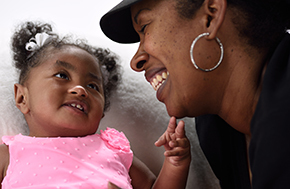 Born three months early, Kaylin also had three heart defects. 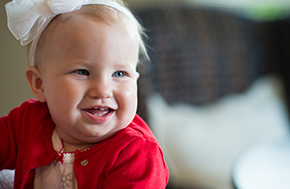 It was touch and go until doctors at Texas Children's performed an innovative procedure that saved her life. As their baby, Parson Blue, struggled to breathe, her parents knew something was wrong. 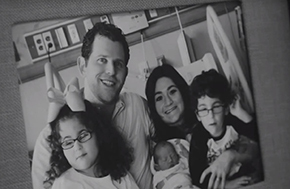 They never dreamed she would need a lung transplant to save her life. 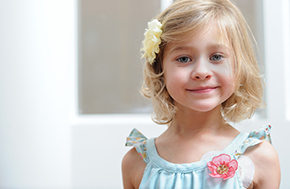 Three years ago, Peyton was fighting for her life as she awaited a liver transplant. Today, she is happy and healthy. Learn what happened in between.